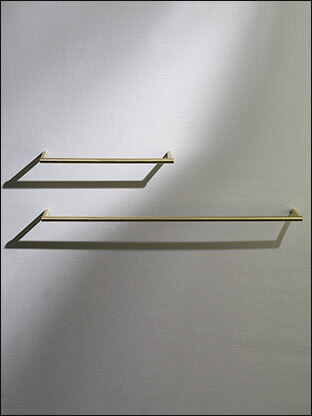 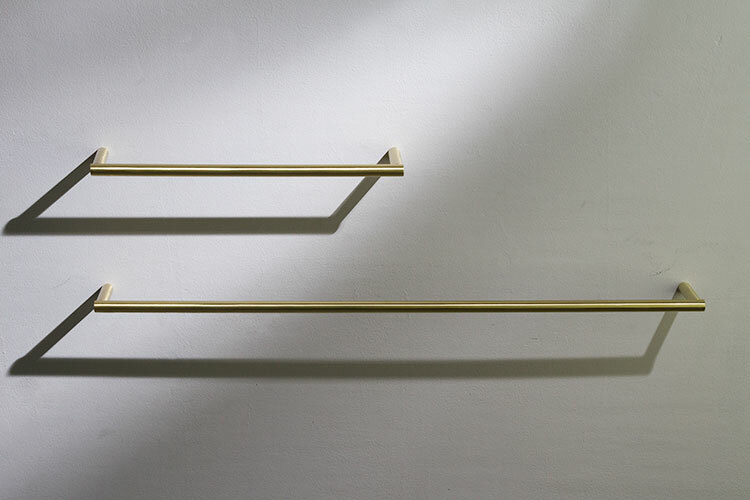 This simple, contemporary brushed brass wall hung towel rail is available in 5 sizes. 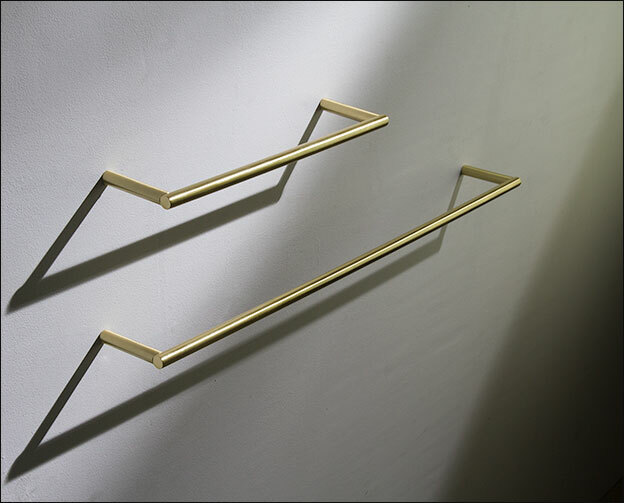 These unique brass bathroom towel hanger bars can be fitted horizontally as a conventional towel rail, or with the use of 2 bars can also be fitted vertically for stylish storage of rolled-up towels. 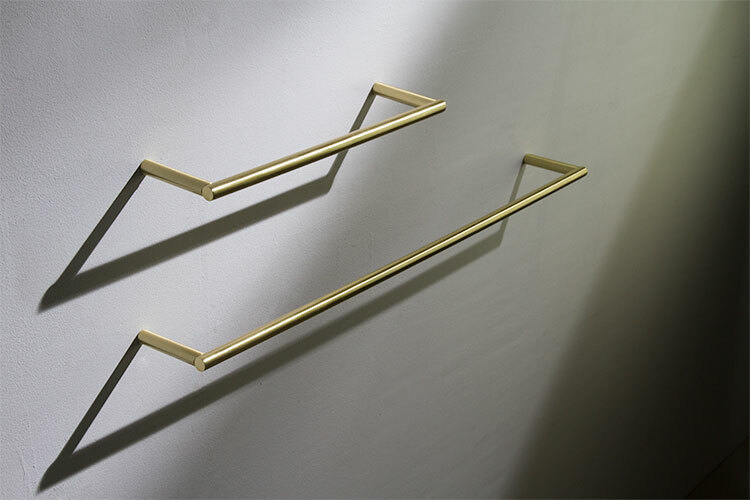 These high quality brass towel rails are made in Germany and exclusive to Livinghouse. 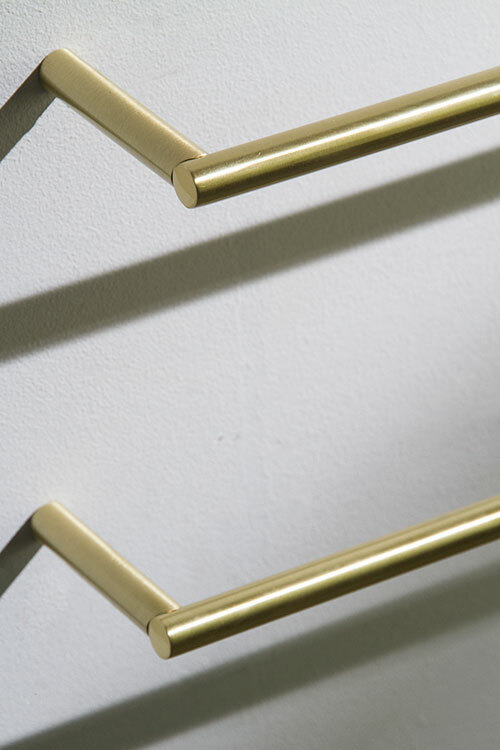 Available in un-lacquered brass which allows the towel hanging bar to build a natural patina over time or a protected finish for easy maintenance. 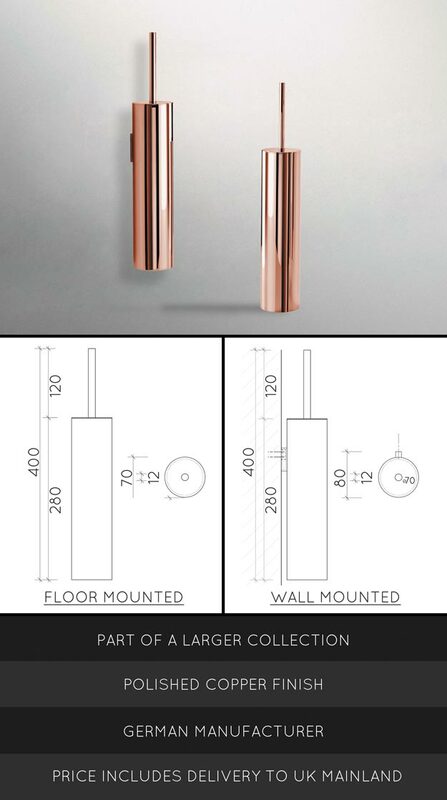 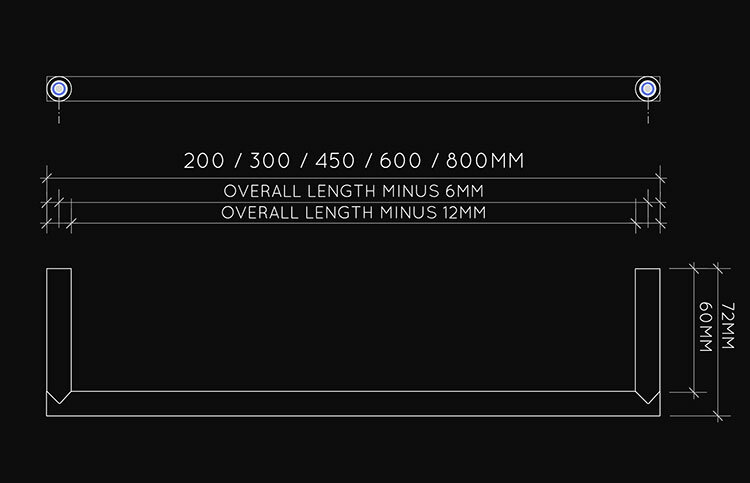 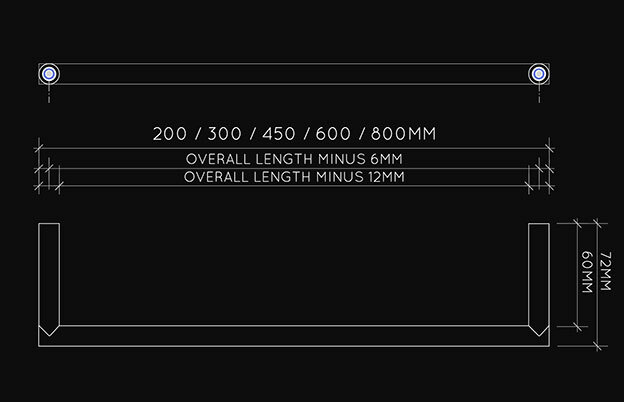 • 5 towel bar lengths. 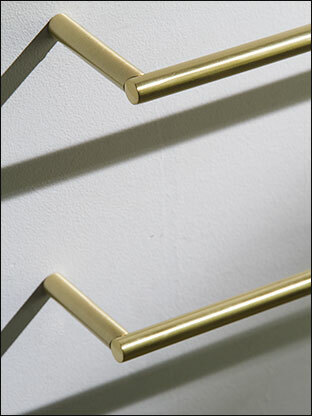 • Exclusive brushed brass finish.